Ace pilot. Legendary Avenger. Carol Danvers has a new name, a new mission - and all the power she needs to make her own life a living hell. As the new Captain Marvel, Carol is forging from a challenge from her past! It's a firefight in the sky as the Banshee Squadron debut - but who are the Prowlers, and where has Carol seen them before? And how does secret NASA training program Mercury 13 fit in? Witness Captain Marvel in blazing battlefield action that just may change the course of history! 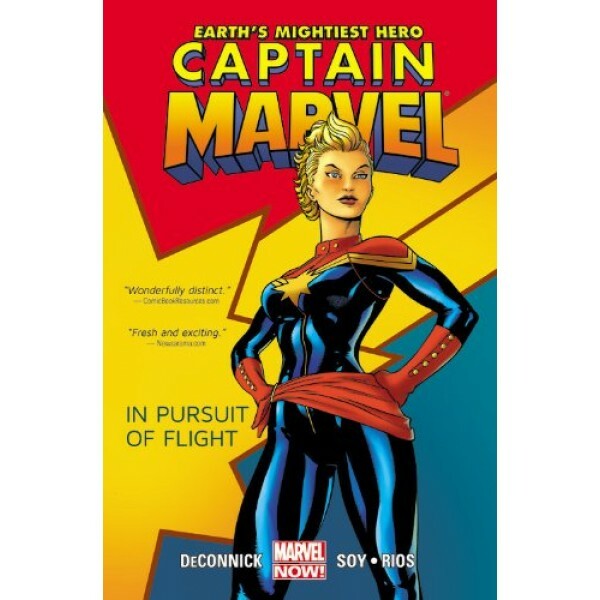 Captain Marvel's story continues in the second trade paperback, Captain Marvel: Down. 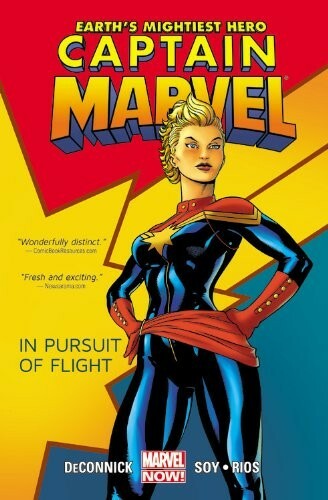 The character then began a new series, written by the same author; you can find issues 1 - 6 in Captain Marvel: Higher, Further, Faster, More. For more girl-empowering comics and graphic novels, visit A Mighty Girl's Graphic Novel Collection.